We don’t know why Philip decides to shut off at seemingly random moments. Actually, I don’t think they are all that random. I believe something sinister is afoot. Consider this: Philip only goes dark during one of three moments. Yet if a show like Say Yes to the Dress or Jerseylicious or My Strange Addiction is on, Philip hums along like a kid on a warm summer morning kicking a rounded pebble down a dirt road. Clearly, he’s a vicious tease hell-bent on tormenting me. He knows I’m all engrossed. Oh yes, he knows. He sees me and decides, “Now would the perfect time to mess with him.” I’m convinced his little TV brain makes a conscious decision to tune me out. Imagine that, televisions tuning out humans. I’m telling you, this is only the beginning. I hope you’re prepared because the machines are taking over. HAL is coming to your house and he’s being escorted by a legion of determined NS-5’s. Maybe at 4 years old Philip’s feeling his age. I know there’s an age translation formula for many things, but I’m not sure how many people years 4 TV years equates to. However, I suspect as a species televisions age much faster than they once did. It’s not that they break faster. They don’t. (Although one that mysteriously turns off cannot reasonably be considered in tip-top condition.) They simply become outdated so fast. Anyway, if a television built in 1980 could be expected to live 12 useful years one could reasonably determine the formula for figuring out its human age would’ve been something like “1 TV year = 6 human years”. After 12 years that 1980 television would be like a 72 year old person. Sounds reasonable, right? Well brothers and sisters, this ain’t 1980. 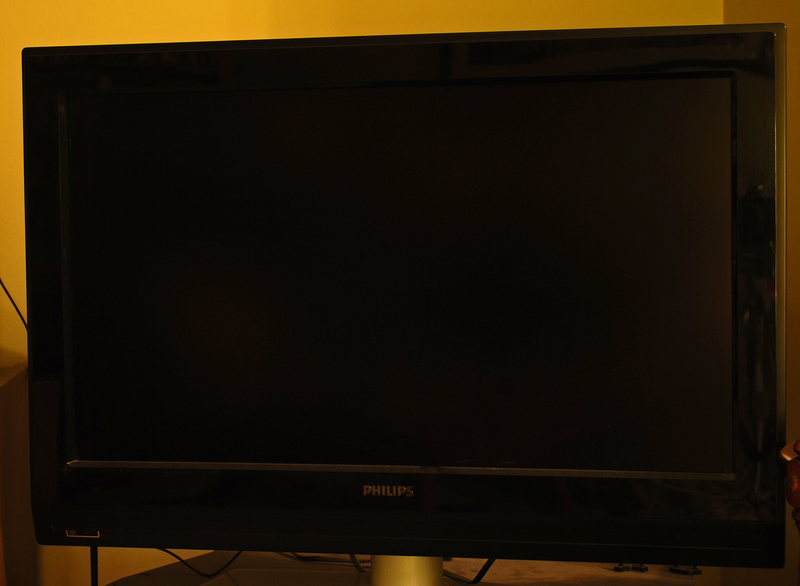 Nowadays, thanks to emerging technologies like HD, 3D, HD3D, R2D2 and WD40, the formula is closer to “1 TV year = 72 human years.” Come to think of it, that explains a lot about Philip. Maybe he’s not possessed. Maybe he’s 288 years old! No wonder he nods off now and then.